I read somewhere, the rider is an artist or sculptor, the horse is the medium with which he works. (And, if anyone has the origin or author, please let me know!) I like this image. A friend had two photos on her fridge door. One was a scruffy, dirty little dark grey colt, with a long black mane and tail, thick winter coat, unshod and slightly long hooves, a bit unkempt. Tail dragging on the ground where it hadn’t been trimmed. He was slightly ewe necked, weak behind and totally undeveloped. He was standing, looking slightly wild eyed, in a headcollar, an unseen person holding him steady. The other photo on her fridge door, shows a magnificent dressage horse, stunningly turned out, gleaming pure white coat, clean, brushed out mane and tail also pure white, tidy hooves, beautiful topline with a big cresty neck and lovely development through his back, quarters and thighs. Truly, a stunning horse bursting with health and power. He is standing square, oozing confidence and charisma, in a double bridle and dressage saddle, ready for work. And, yes, it is the same horse, taken about 8 years apart. This horse, was truly an artist’s creation. He was never hurried or pressured, he was sculpted step by step, sometimes one step forwards, two steps back. As he was being produced, he was given time to find balance; his muscles were given time to develop; the wrong muscles were given time to soften and let go; his brain was given time to understand; he was given time to become confident and trial new behaviour; he was given time for deep practice, to slowly, slowly understand and create something magnificent. Another quote that I adore – “I saw the angel in the marble and carved until I set him free” – Michelangelo. (Even I know this one’s origin!) This horse, that I am describing above, that is exactly what happened with him and his training – the stunning, calm, presence filled creature in the second photo was always there, and my friend had the knowledge and patience to carve until she set him free. Did Michelangelo take power tools to his marble and produce his angel at record speed? Of course not, he would have taken his time, felt the marble, thought and felt about what he was producing, and as an artist, filed away bit by bit. The classically trained horses have the benefit of time, they are produced over years, so that if he only offers piaffe at 12, it doesn’t matter, because its part of the process, not a race to the finish line. Which is why these horses stay sound and working into their twenties. 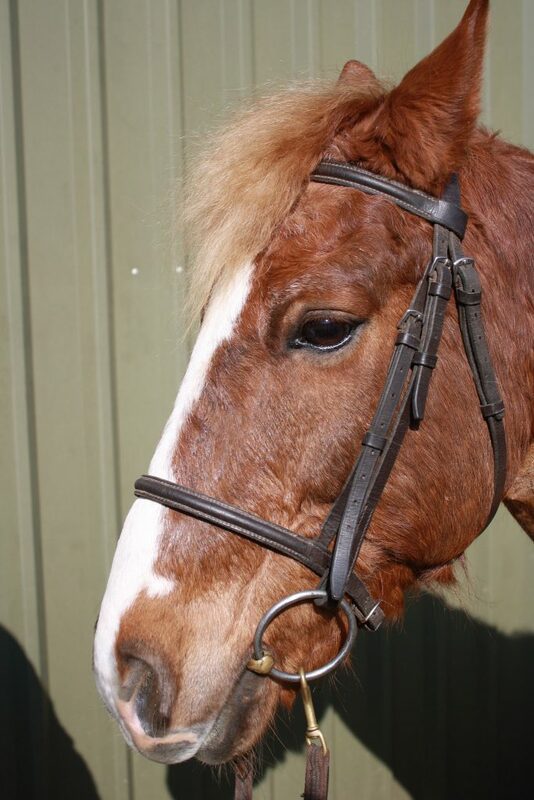 Can you ride your horse in a simple snaffle and loose cavesson noseband? The first is the one that I can most empathise with – you have a nice young horse for a novice rider and want the rider to feel what they are aiming for – you don’t want to damage the horse’s back by letting him run around with his head in the air, but the rider hasn’t learned the feel. Ideally, find the rider a schoolmaster to have some lessons on, but having taught in all sorts of weird and wonderful places, I know it isn’t always possible… Do I agree with it? No. But, it’s the one answer that I can see some logic behind. Next, they want fast answers. As I said, Michelangelo took time to carve his angel. But, if he was being pressured to mass produce pieces to sell quickly, to get more chunks of marble out there to the public, and he had a power tool to hand, would it have made it quicker? Sure. He could have produced 50 in the time it took to carve 1. And, since so many were being made, it would be ok if a couple were chipped or flawed, right? Quantity over quality. If you own a stallion and want to get his progeny out there and competing, to get more mares in, to raise the stud fee, then you want his babies out there fast, (often mass produced) and winning at 3 or 4 years old. So, for speed and faster financial reward, use gadgets. Having pupils over horsed. This is a biggie. Your pupil buys a horse who is a little too much for them. Maybe they chose the horse before becoming your pupil, or maybe you bought the horse for them, hoping that they would “grow into” each other, and now, Oh Dear, it’s bordering on being unsafe… So, we just tie the head down. This one is a real bug bear for me – educate, both horse and rider. School the horse correctly, teach the rider. Slow down the lessons, teach them in a walk, until they have more control, and then in trot. Keep them on the lunge, or in a smaller arena. Educate, don’t punish the horse for being more horse than a rider should be riding. Buck Brannaman has a great quote – “When someone tells me they want a pushbutton horse, I say you might as well buy yourself some fairy dust. You’ll bring that horse down to your level in no time”. 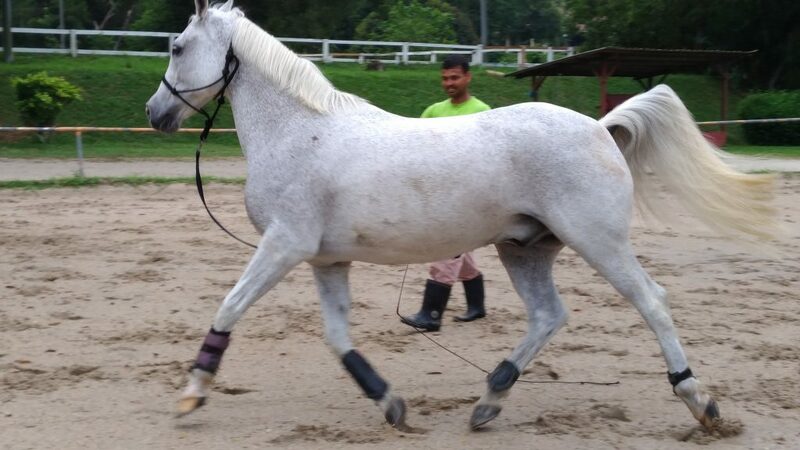 That fabulous, flashy horse, can be dumbed down pretty quick in a pair of running reins. Lazy teaching – this is another one that really annoys me. I can’t be bothered to teach you about contact, so we’ll just pull his head down. I CAN’T teach you how to ride the horse rounder, through his back or into a quiet hand, because I don’t have enough understanding or the words, so we’ll put draw reins on. A trainer’s role is to train, to help the pupil to understand. A trainer shouldn’t take a short cut to avoid teaching the lesson. This is often accompanied by the trainer sitting on the fence with a cup of coffee, a cigarette and a fan club. Luckily, I only see this very, very rarely! How much do you agree? Sure, there maybe other circumstances, or other reasons that a trainer may try to convince you that using gadgets is the best option, but 99% of the time, I bet it comes down to one of these five… What are you doing with your horse? Are you carefully shaping the angel who lies within the marble, or are you forcing a shape that is going to chip and crack? This entry was posted in Blog, Teaching/Learning and tagged . Bookmark the permalink. Emma Malone on Beethoven or Heavy Metal? Ashleigh Sanderson on Beethoven or Heavy Metal? Helen Rondos on Beethoven or Heavy Metal? Judi Brewster on Beethoven or Heavy Metal? How big is your why? 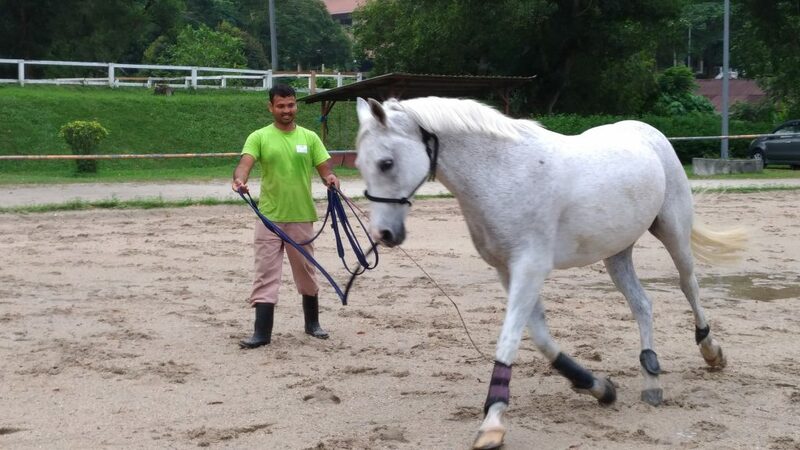 One of the best riding lessons …. Riders often ask me how to become stiller in canter….. A balance / wobble board is generally my first go to. Taking that a step forwards…..